How did the partnership with Iron Maiden to bring Eddie to the Angry Birds Evolution game come about? As you may know, Angry Birds Evolution is quite a different game. 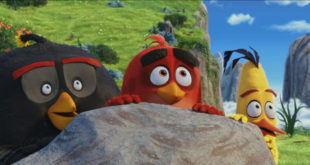 The Angry Birds and the characters are the gruffest that they have ever been within the franchise. The game also has numerous events and we were looking for the right partners to collaborate with around those events and with the game in general. We were looking for brands that are good for the target audiences, the image and the roughness of the game. We came to Iron Maiden, we contacted Phantom Records and they were very keen to partner. The collaboration was launched as a Halloween special. Given the success of the partnership with Iron Maiden are you now looking to expand the in-game Eddie the Bird aspect? Yes, this was launched around Halloween for a two-week in-game experience. We felt that it was a good take on the season with the Eddie the Bird co-branding. We have been really happy with how it has gone and there has been a lot of positive reaction from the media. We have also had a lot of great feedback on social media, people were really surprised by the collaboration. 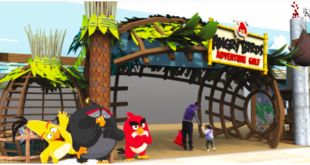 It has been such a successful in-game venture that we can confirm that Eddie the Bird is planning on revisting Angry Birds Evolution later this year. Taking the partnership out into the wider licensing space, what plans have you got for the consumer products space? What categories will you be taking the Iron Maiden partnership into now? On the licensing side of things, we have a collection of T-shirts with Amazon. We have started with four different T-shirts based on the different Iron Maiden album covers. It has only just launched so we haven’t even started marketing them properly, but already it seems to be going down well with the fan base. We are following up with how it goes and then, if the fans like it, we are likely to expand into other products. We really want to keep this limited and exclusive, with a halo-type programme. We know that it won’t be for everyone, and that is how we like it. We want to keep it in a niche space. What was the process of working with Iron Maiden on the initiative like? Was this a fortuitous meeting of minds? 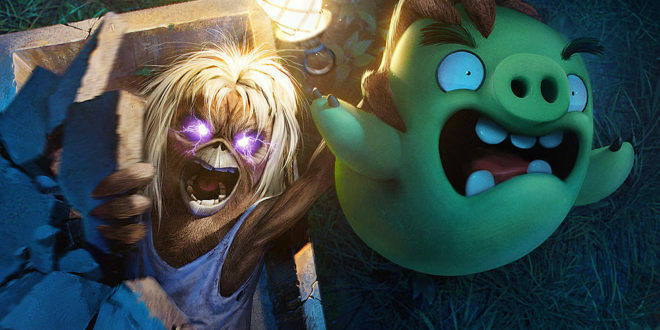 When Iron Maiden first saw the first sketch of the Eddie the Bird character, they were very keen for this to happen. We worked with the licensing team very closely. They are – quite rightly – very careful with their brand, and they really wouldn’t just work with anyone. We haven’t come to any complete decisions for the consumer products extension, yet, but we would love to do a collection of figurines. There are about 100 characters, and as the name suggests, they all have different stages of evolution as well as Eddie the Bird. It would be an obvious expansion and one for the fans as well, as they have the collectability opportunity there as well. And how about the more general licensing plans for the Angry Birds Evolution franchise? Angry Birds has always been partnering with great brands. We have had Star Wars, Transformers and a number of really well-known brands. That is always part of our strategy. We will be looking to secure more partnerships, similar to the Iron Maiden collaboration, moving forward. We are very much approaching the licensing plans for Angry Birds Evolution in the same way we are approaching the Iron Maiden consumer products plans. We have the t-shirts and we have Evolution t-shirts. We are implementing a small, halo consumer products programmes for the game’s fans and seeing how it goes before expanding into suitable categories. We want to keep it niche to really suit the fans of the game and the brand. The fans really do come first when it comes to licensing. What will be the next big initiative from Rovio for the Angry Birds brand? 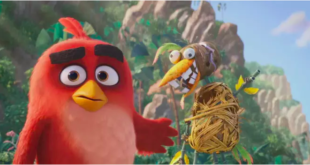 September 2019 is our next big tentpole event with the launch of the Angry Birds Movie sequel. We are building the licensing programme around this one now and talking to toy companies and long leads about this. Meanwhile, we are really working on hatchlings and the Hatchlings franchise. We have an animated series on YouTube and TV and had the game Angry Birds Match, featuring the Hatchlings launch. We are building the audience for that, so there is a lot happening with them and then end of 2019 is the movie. How important is YouTube to you guys now compared to TV content, have you seen a shift? YouTube is very important to us now. We have the content on TV in over 60 countires, but our animated content is shorts, and is really made for mobile devices. We have 2 million subscribers on YouTube and over 3 billion views, making us one of the biggest entertainment brands on the platform as well as one of the biggest channels. 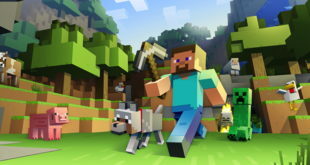 Our fanbase is digital and they play the game and are in that space, so it is quite natural for us to use YouTube as the distribution channel for the content.